The weather's beautiful, and spring is in the (h)air! Well, I hope you are all feeling great with this beautiful weather. It gives a feeling of change and of happiness. I have had some feedback from last week’s article about changing up your hairstyles. I am going to show you some photos of two of last week's clients. The first is Bairbre Kennedy (above). Sorry, I have no ‘before’ photos, but we decided to go shorter than usual. Taking advantage of her thick wiry hair, I have cut the top area very choppy which means when growing out it won’t go too bushy but will grow at different lengths. We were both very happy with the result. My next client was a friend of mine, Fiona. 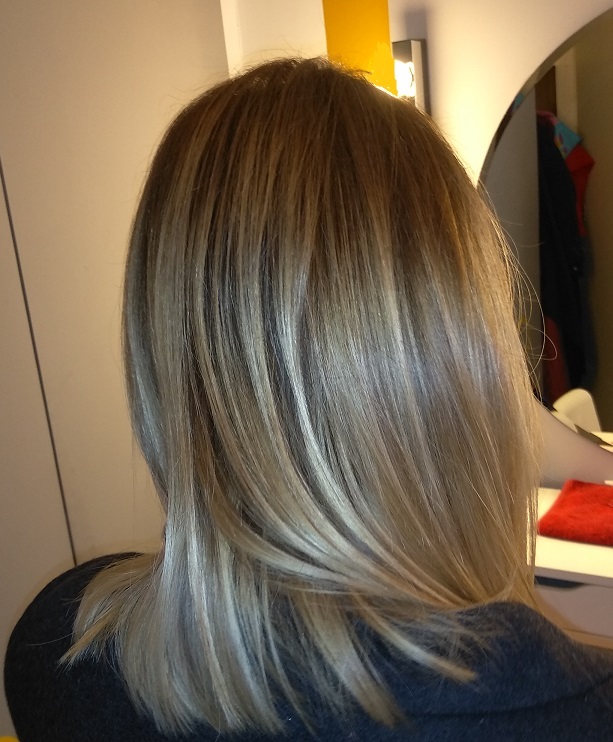 We decided to go a bit heavier on the blonde but still staying with the Balayage technique, meaning dark roots. This is a serious advantage when you are not a big fan of going to the hairdressers. There is very low maintenance with Balayage when it’s done properly. Something that is becoming very apparent is that we all seem to have every product known to man when it comes to our faces - oils, serums, masks, and moisturizers. But when I ask about hair products, it all gets a bit vague! A lot of you don’t know or really care what you are using. I would suggest that a little more thought goes into what you have and need. You need a shampoo, a conditioner, and a hair mask. I would be very happy if you all had a hair oil as well, this is fantastic for those of you that leave your hair to dry naturally. The mask must be used weekly or bi-weekly. The difference to your hair is remarkable. If you can’t be bothered have it done at your salon and definitely buy the mask at your salon, whatever about the other products.